We’ll meet every time you think of our friendship – in your heart! True friendship grows beyond the need of physical presence. In the West, discipleship are not and cannot be exactly as in the East. There will always be different degrees of discipleship, not merely “mureeds and true mureeds” but a million finely distinguishable degrees. No “successor” is a copy of the predecessor. 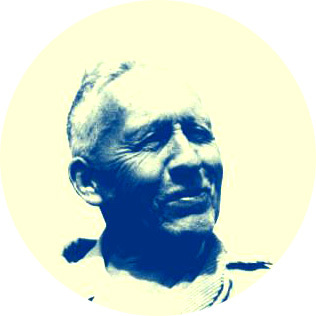 Shamcher Bryn Beorse 1896-1980 was a student of Inayat Khan and pioneer of OTEC (Ocean Thermal Energy Conversion). Sufi, yogi, engineer, economist, generalist, writer, spy and more. A contemporary western mystic. A dark November day in 1924 the phone rang. Would I translate the talks to be given at the Oslo University by the Hindu musician and mystic, Inayat Khan? I had just returned from two years’ work as an irrigation engineer in India and Indonesia. I had arrived with a reading knowledge of Indian culture and traditions, eager to learn more. The abyss of poverty and misery staggered me and soon overshadowed all other impressions. I wondered whether the self-inflicted torture of the fakirs or even the subtle philosophies of the Yogis could not have been channeled into talents or activities more helpful to the starving masses and the welfare of a great nation. Accordingly, my first reaction was not too positive toward this Hindu who was lounging in the hotels of Europe and America while his countrymen were in such desperate need of mind and muscle to better their lot. Wondering how I would be able to get in my pot shots of practical questions about the lectures amid the heavy spiritual artillery fire I expected from my friend, I entered the room a worried man. A pair of laughing eyes looked up at us. The gentle, sincere, almost apologetic tone of his voice contrasted with the startling sense of his words. With a graceful movement of his hand, a nearby sofa was indicated. My friend and I seated ourselves in opposite corners, with Murshid Inayat Khan in the middle. Then we closed our eyes. I woke up, refreshed, when a bell rang. The interview was over. My friend and I rose, shook hands with our host, left. Murshid Inayat Khan and I had no further talk before the lecture. I felt he was quite able to judge for himself what was necessary in the way of preparation. When the evening came, I sat down in the first row, with notebook and pencil. I did not use either. When the lecture had been given in full, I took his place and delivered the talk in my native tongue. I had always been proud of my memory. This time I wondered whether it was all a matter of my own mental powers. 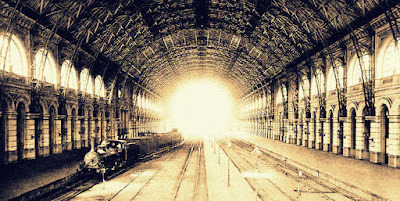 When he was to leave I took him to the railway depot. A station attendant gave us the wrong platform number so he nearly missed his train, which would have upset his entire schedule of lectures and caused irreparable damage. The train still stood at ease, three minutes after scheduled departure time with not the slightest indication of hurry. I apologized at having led him at such a fast pace when obviously it had not been necessary. At first he understood this in a strictly musical sense. 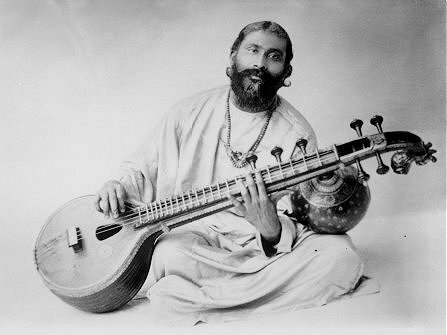 A descendant of the great Moula Baksh, “India’s Beethoven,” Murshid Inayat Khan had been collecting ancient tunes from all over India and singing them, accompanied by his vina, for the public and at court. Arriving in San Francisco in 1910, he sang and played his vina as he had done in India. By and by he began to feel he not only played music, but that he was music. And all other human beings likewise seemed to him to be music, each one of a particular tune and character, revealing their secrets to his supersensitive heart. He then began to view his teacher’s parting words in a new light. He had grown into a world of music where humans - and even things - were the instruments. The terms East and West he no longer saw as mere geographic directions, but as straying entities of mind and heart, leading to misunderstanding and disharmony, which he would try to bring together in mutual understanding. There followed two years of study with him at his summer school at Suresnes, Bois de Boulogne, outside Paris. I found that his ideas, which had seemed a little vague in a railway depot in Oslo, were as scientifically conceived as anything I had encountered in my engineering career or in my study of physics. They were already incorporated in several books. In 1926, Eddington, Hylleraas, James Jeans and other outstanding physicists hypothesized what has been called the “vibration theory of matter,” about which science is still fighting. This hypothesis is a true replica of Murshid Inayat’s views, except that, to the latter, the “vibrations” were not just movement of inert matter, or of no matter at all, as has elegantly been suggested by some scientists. To Murshid Inayat, these vibrations were curls and twists of love — that unfathomable force that created and goes on creating and maintaining things and thoughts and sentiments. A curious and significant application of this vibration theory was Murshid Inayat’s attitude toward the “peace through disarmament” dreams of the time, sponsored by the United States Secretary of State Kellogg and others. A few years later this warning was dramatized by Hitler’s rise to power. His extraordinary sensitivity was a constant puzzle to me. Once, as he was lecturing, my mind slipped off to the thought of a swimming appointment I had after the lecture and, although the talk was most interesting, I impolitely wondered whether it would be over soon. With an instantaneous reflex Murshid Inayat looked down at his wrist watch - then up at me! There was no reproach in his eyes, just mild wonder. He was only half through his talk! Upon another occasion an older associate of his had taken me to task for using a chair in the audience which was just next to the one Murshid Inayat used when he was listening to some speaker. It was far back and, said my assailant, Murshid Inayat wanted, of course, to sit alone and undisturbed! Somewhat taken aback at such fussiness I decided nevertheless to sit as far away from that chair as possible, and seated myself in the first row at the next lecture. Before it began, Murshid Inayat walked in unobtrusively, looked around, then walked quietly up to the first row and sat down beside me again. My assailant blushed profusely. Another elderly associate of Murshid Inayat once took it upon herself to lecture me on his exalted state, a state which was such that none of us could ever hope to reach it, or even have him as an example; at the most, we might hope to reach the status of some older associate! Then, gently, he switched to the subject of the evening. One day I asked him the question that had been on my lips since the first day we met. Why did he not stay in India which was so much more in need of his vision, wisdom and energy? He smiled as if he had known all along this question had been worrying me. First he reminded me he had stayed and worked for quite some time in India before he came to the West. Also, he told me some day he would go back. (He did.) But he came to the West, he said, because this, and not India, was now the center of the world from which action and initiative went out to the other parts of the world. If his message was important for the whole world, he said, it had to be planted in the West. Here the minds were alert, the determination and organizing ability active. Western associates might take a longer time making up their minds. But when made up, they would stick, and do something about it. One might say Murshid Inayat helped his own countrymen by helping the West sharpen its tools of service. His goal in life was the same as for all earnest seekers: truth. But how does one look for truth? What better path than love? Sympathy? Looking at things from the other’s viewpoint? Merging into that penetrating force that runs the world? This leads to harmony, which again breeds beauty and, in the atmosphere of Love-Harmony-Beauty, vision becomes clear, truth may be seen, reached. We who had the privilege of thus hearing, in one sitting, quotations from all the world’s scriptures, were always amazed anew at the similar, nay identical, manner in which all of them dealt with our problems. known and unknown to the world. On a mid-September day in 1926, when Bois de Boulogne had put on its brilliant fall colors, I reminded Murshid lnayat of this and pleaded with him to remain in the West, or at least come back, when he told me he was heading for his native land. “We’ll meet again next spring,” I said, confidently. I never saw him again “in physical presence.” He passed from our world of East and West in February, 1927, near the tomb of his teacher. “There was a scent as of roses in the room when he had left this world,” said one who had witnessed his passing. In his native India there is a legend that a saint or sage leaves a scent of roses upon passing, as a token of the fragrance of his eternal soul. 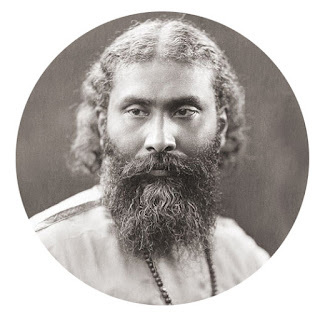 This post is in preparation for an interview with Carol Sill who is one of the pupil of Murshid Shamcher Beorse, who in turn was pupil of Hazrat Inayat Khan - as the unbroken link of love continues to the unfathomable horizon, beyond the furthest limit. God bless the souls of Hazrat Inayat Khan and Shamcher Bryn Beorse and perfume their resting places. Fatiha to their spirit!